Description: The Patrol Leader is the elected leader of his patrol. He represents his patrol on the Patrol Leader’s Council. Comments: The Patrol Leader may easily be the most important job in the troop. He has the closest contact with the patrol members and is in the perfect position to help and guide them. The Patrol Leaders, along with the Senior Patrol Leader and Assistant Senior Patrol Leader are the primary members of the Patrol Leaders’ Council. Attendance: You are expected to attend 85% of all troop meetings, Patrol Leaders’ Council meetings, outings, and service projects. If your attendance is low, or if you have three (3) unexcused absences in a row, you can be removed from office. Attendance: Set the example by being an active Scout. Be on time for meetings and activities. You must call the Senior Patrol Leader or Scoutmaster if you are not going to be at a meeting or if you suddenly have to miss an outing. You also need to make sure that the Assistant Senior Patrol Leader is ready to assume your responsibilities. This requires you to “Be Prepared”, plan ahead and this will never be an issue. 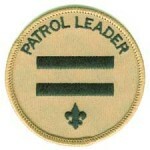 Represents the patrol on the Patrol Leader’s Council. Use patrol corners during Troop meetings to make decisions and get informed. Make sure Patrol Meetings are planned in detail one month in advance. You must use the Troop 2 meeting plan template. Make sure Patrols meeting are planned two months in advance tentative. Ensure your meeting plan is represented properly on the troops web site calendar. Assigns patrol members a job and help them succeed. Make sure your patrol has an APL. Make up duty rosters for camp outs. Attend all PLC meetings and the program planning conference. Keep a list of what your patrol member’s need for advancement. Get this from the Troop Committee Advancement Chair or use members books. Know what your patrol members would like to do. How to run a good troop meeting Guidelines for how organize a productive and fun troop meeting. This document is meant for the Senior Patrol Leader. Troop Meeting Planner Checklist for the different parts of a Troop Meeting. This document is meant for the Senior Patrol Leader. 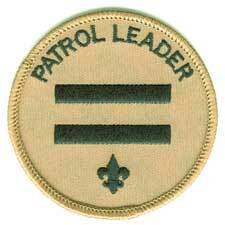 Patrol Leader Tips Ten tips on how to be a good Patrol Leader.